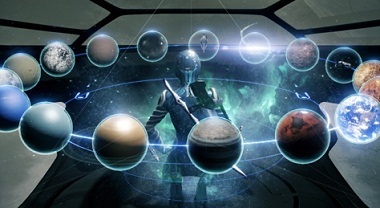 Currently in Warframe, there are 14 planets to choose from, and you can unlock them gradually. Here you have to complete a total of 239 missions and kill the bosses. Once you have completed them successfully, you will be benefited with rewards and resources / components with which you can assemble your Warframes and weapons. The below table contains all previously existing planets at Warframe. In addition, you will know what level you need to unlock the planet. If you know on what planet that Boss is staying and what reward you get when you have defeated him, you can decide where you lead your journey next. Do you need, for example, components for the Rhino, then you have to take on Venus.